All amps have sweet spots where they sound best, but it’s not always possible to crank them up to gig-level volume. That’s where attenuators come in. It took electric guitarists a very long time to warm to the idea of attenuation. It’s debatable whether the attitude change can be attributed to engineers continually telling us to turn down, increasing deafness and tinnitus, or the gradual realisation that cranking up 100-watt heads at pub gigs is no longer deemed acceptable by the general public. Attenuators are generally used to make loud and powerful tube amplifiers quieter. Turning down the volume of a guitar amp achieves the same effect but changes the sound and dynamics too. 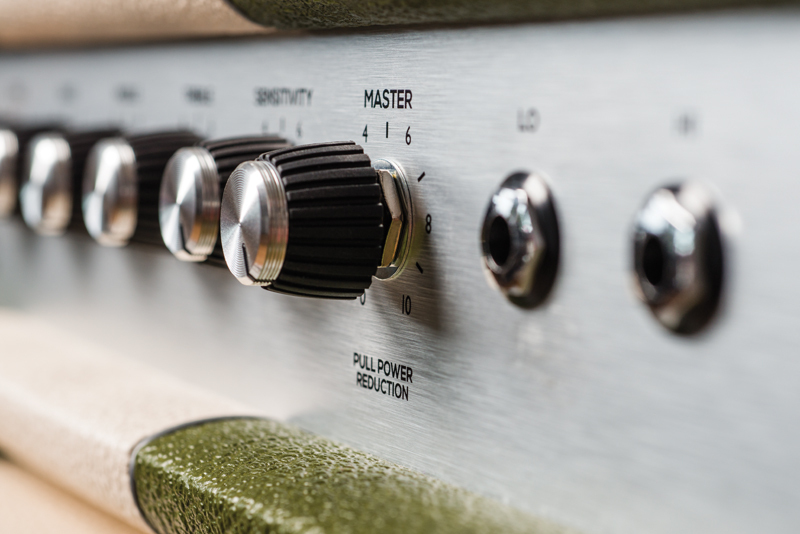 Some would suggest using lower-power amps instead, but if you prefer the tone of a flat-out JCM800 or tweed Bassman, 18-watt Marshalls and 5E3 Deluxes won’t deliver the goods. If you always want to hit your amp’s sweet spot but sometimes need to play at lower volume levels for smaller gigs or home practice, you’ll have to place an attenuation device between the amplifier’s output and the speaker. There are various types of external attenuator, but generally speaking they transform excess electrical energy into heat or mechanical energy. In an ideal world, attenuators would allow you to use any amp at any volume level without any adverse effect on sound quality or reliability. In practice, the use of attenuation does change tone, but blaming the attenuator isn’t always justified. Our perceptions of toppiness and bassiness change depending on volume level. So changes in tone that we may perceive when the amp signal is attenuated may not be a characteristic of the attenuator but rather a function of volume and the way human hearing works. This is why some attenuators provide bass and treble compensation. If you want to research this, search online for Fletcher-Munson curves and equal loudness contours. Getting back to the reliability issue, attenuators have sometimes been blamed for amplifier failures. While this may be justified in some cases, it’s also worth remembering that attenuators allow us to run amplifiers flat out for extended periods of time. Let’s use a car analogy and consider which would last longer – the car that’s driven carefully and rarely exceeds the speed limit, or the car that’s driven flat out all the time. The point is you can expect your valves and components to fail sooner if you continually use your amp at or near its limits. You might also consider it worth having your amp serviced thoroughly to give it the best chance of survival before you begin using an attenuator. Impedance matching is also important for reliability. 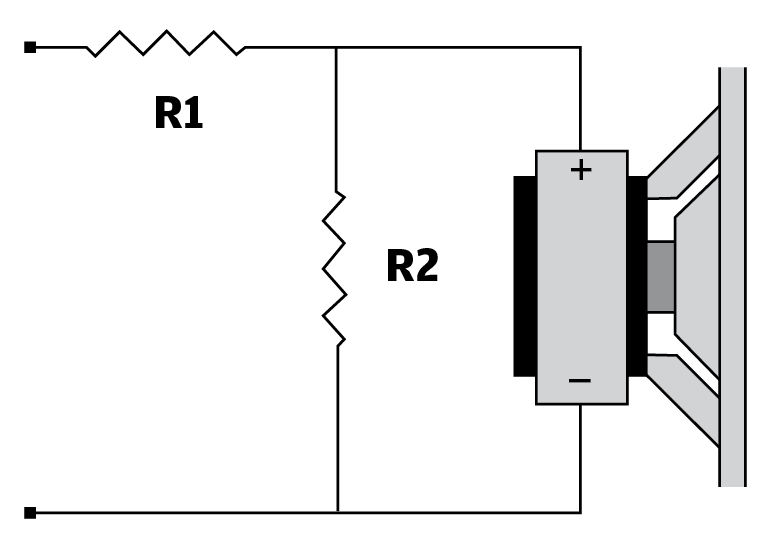 Just as an output transformer with an 8-ohm output impedance needs to be connected to an 8-ohm speaker, that same transformer will need to see an 8-ohm load from any attenuator. It’s also vital to ensure that the power rating of an attenuator is adequate for the amplifier power rating. You wouldn’t connect a 30-watt speaker to a 100-watt amplifier, and attenuators are no different. Always check the specs and remember that the peak power of an amp always exceeds its stated power. 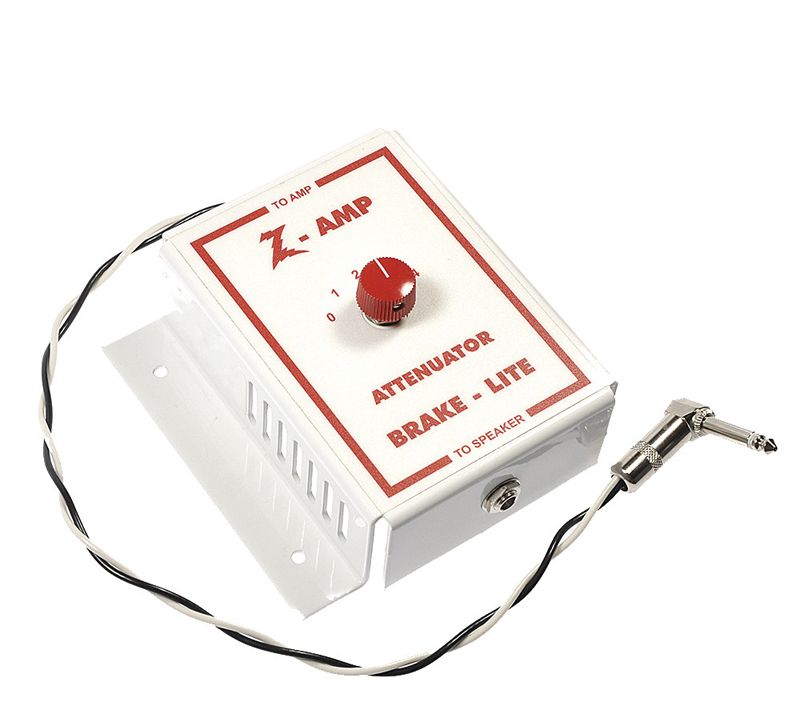 So you can expect a 100-watt amp to blow up a 100-watt attenuator. Lastly, ensure you use speaker cable to make connections between the amplifier and the attenuator, and the attenuator and the speakers. External attenuators can be active or passive and both can be reactive or non-reactive. This type does not require an external power supply. Most feature networks of high-power resistors, and purely resistive attenuators are sometimes referred to as power soaks. Some passive attenuators incorporate fans or bulbs that are powered by the amplifier signal. Passive attenuators can also be made using step-down transformers with multi-taps for various output levels. This method relies on changing the impedance the power valves ‘see’, and some of the power travels back to the amplifier. As more attenuation is applied, the amp’s frequency response can change, and there are reports of damage being caused to amplifier transformers with transformer-loaded attenuators. These attenuators require external power because they incorporate an amplifier stage. The signal from the guitar amp ‘sees’ a passive dummy load and a small part of the amp signal is then fed to an onboard amplifier that feeds the speakers. The Bad Cat Unleash and Fryette Power Station are good examples. The big advantage of active attenuators is that they can be used to boost as well as cut the signal being sent to the speakers. 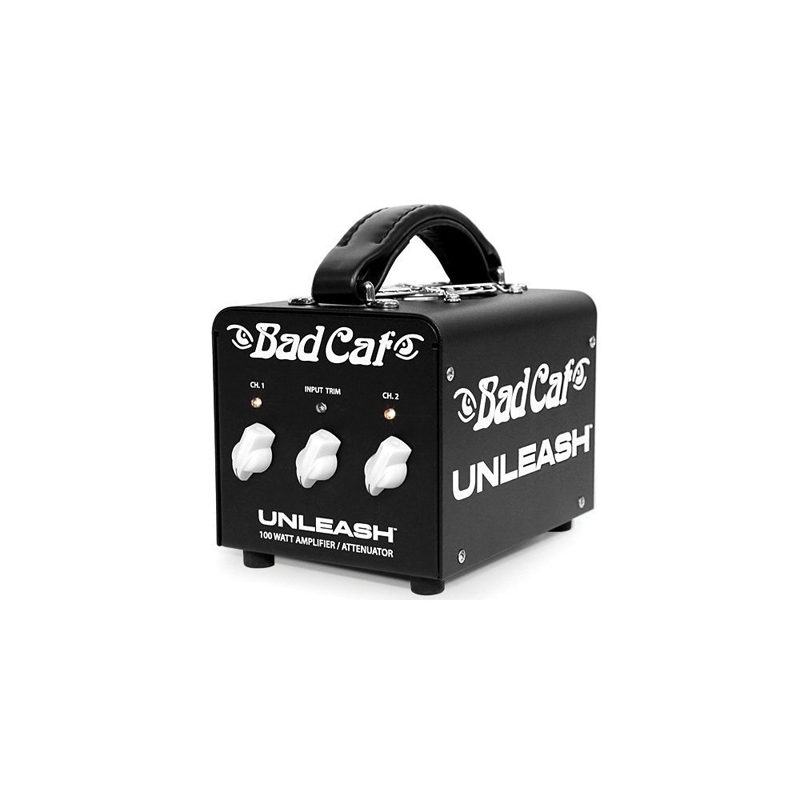 So, in addition to taming high-power amps, they can increase the volume level of small and medium-power valve amps, turning them into viable and versatile gigging tools. Although they are intended to achieve the same result – namely reducing level without compromising tone or dynamics – the methodologies are quite different. In a nutshell, power scaling works by varying the B+ voltage inside the amp. Unlike using a variac, this allows the full heater voltage to be maintained at all settings. Power scaling can be applied throughout the amp, so all the valves produce less power. Alternatively, it can just be applied to the power tubes, but a master volume control may be required to prevent the preamp from driving the power stage too hard. Many amp builders are now using power scaling, and a big advantage over using external attenuators is that the life of the valves might be extended rather than reduced. Passive resistor networks fulfil two functions. They present the amp with a resistive load with the same rating as the speaker and they convert electrical energy into heat. Although a resistor and a speaker may both be labelled 4-, 8- or 16-ohm, the speaker’s rating is only nominal because it is not constant across the frequency range. This is why we refer to speaker ‘impedance’ rather than ‘resistance’, even though ohms are used for both. In contrast, the value of the resistor remains constant regardless of the frequency content of the signal. So purely resistive attenuators are both passive and non-reactive. This is why some players find simple resistive attenuators adversely affect dynamic feel and tone. The relationship between the output of an amp and the ever-shifting impedance of a speaker is complex and it contributes to the playing experience. If you remove the reactive element from the equation (ie, the speaker) your amp and cab will no longer interact in the same way. In reactive circuits, there is usually some combination of resistance, inductance and capacitance. Guitar circuits are an obvious example because pickups are both resistive and inductive, and there is always capacitance in a guitar cable. This is one reason why pickup DC readings, like speaker impedance ratings, can be relied upon only up to a point. There are various ways to make a reactive attenuator. The easiest is to connect resistors in series and parallel with the speaker in order to preserve some of the speaker’s reactive qualities. Weber MASS attenuators have coneless speaker frames. The voice coil is retained, so it converts electrical energy into mechanical energy, but is essentially a silent speaker. Dummy speaker drawbacks are that the energy conversion is less efficient, so the dummy speaker dissipates more energy as heat – much like a non-reactive resistor – and the absence of a cone means the reactance is slightly different to that of a conventional speaker. Instead, an electrical fan or lightbulbs can be used to add reactance to resistive load attenuators, and since they are powered by the amp signal, such devices can still be called passive. Speaker efficiency has a big effect on volume, so it’s possible to achieve attenuation simply by using less efficient speakers. Repeatedly changing speakers isn’t viable, but adjusting the flux density of the magnet is. Impedance and power handling are unchanged, but lower flux density makes the speaker less efficient and quieter. Check out our picks of the best attenuators here.